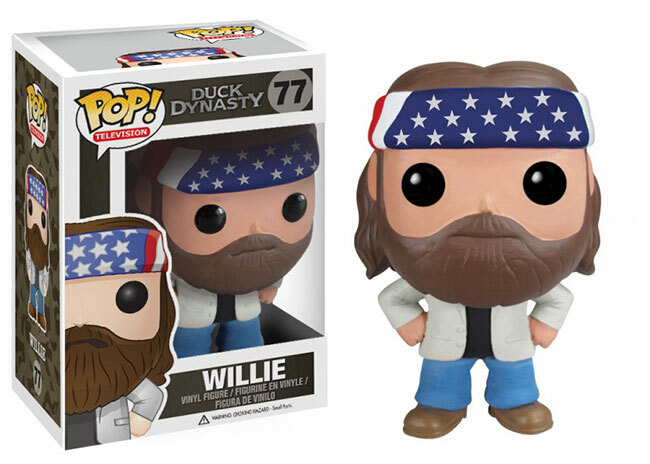 July 2013 - Funko has announced eight new items based on the Duck Dynasty tv show! The four POP! Vinyl figures (Willie, Jase, Phil, and Uncle Si) are due in stores around August 22nd. "Let me tell you about redneck logic... Just blow it up! He's gonna be so enamored with the fire, whoo, he'll forget all about what he's losing." "I didn't get the sophisticated gene in this family, I started the sophisticated gene." "Boom! That's what I'm talking about!" "Ain't no shame in that game." I'm about to go crazy redneck up in here. Yee-haw!" "Redneck rule number one, most things can be fixed with extension cords and duct tape." "RV to us stands for Redneck Vacation." "In the south, road kill is a rednecks paycheck."